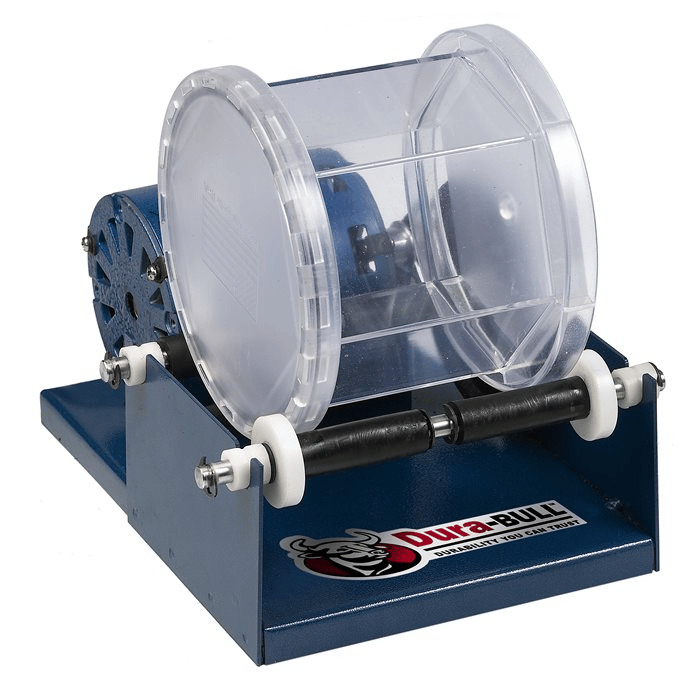 Every Dura-BULL machine is made to work better, made to last and made in the USA. Handle small runs and touch-up work with this dependable tumbler. The clear barrel allows you to monitor your piece and an easy-to-use screw on lid gives you quick access to contents. This tumbler features a single barrel with a capacity of 3 lbs. of steel shot. A no-leak closure ring and non-slip belts make the single-barrel tumbler very reliable.